I'd like to introduce a feature called Moodboard Of the Week. 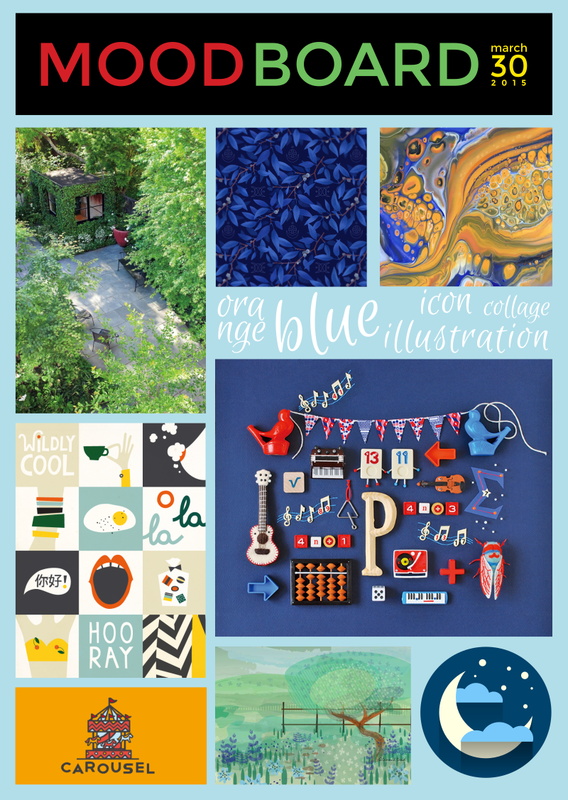 By definition a moodboard is "an arrangement of images, materials, pieces of text, etc., intended to evoke or project a particular style or concept", basically a fancy word for a collage, just like you may have made in Form 1 art class. As a creative person I'm constantly checking out graphic design, fine art, photography and web design blogs and websites; sometimes you can discover ideas for a new project, or you can marvel at the skill of a certain designer, or even find a jolt of inspiration that helps you get out of a design rut. I'm putting together a weekly moodboard showcasing a few images that really jumped out at me, pulled me in, intrigued and fascinated me or just made me smile. I hope you enjoy them.